THE BEATLES The White Album (2018 UK 192-page 10" x 10" hardback book by Brian Southall, with foreword by Chris Thomas. 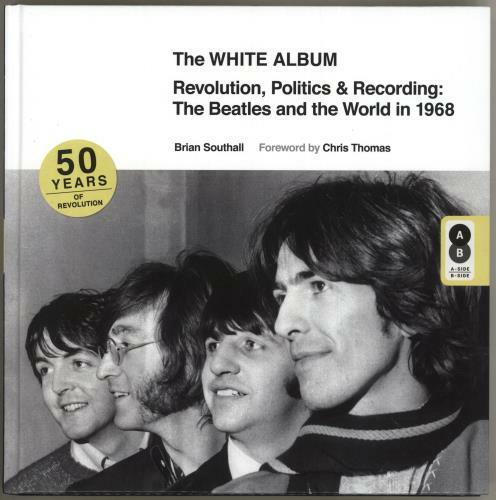 This volume, subtitled 'Revolution, Politics & Recording: The Beatles and the World in 1968' has an 'A-side' and 'B-side'. The A-side is a detailed look at the only double album ever released by The Beatles and the B-side focuses on the world between 1967 and 1969, as love and peace gave way to unrest and revolution. Fully illustrated throughout, with great front and back cover pictures). Stop Worrying! The Beatles Help! Is On The Way!